I have to start off by saying Thomas Penn has written a rip roaring biography here. It is certainly easy to see how this book won the 2012 H.W. Fisher Best First Biography prize. If you are looking for an in depth survey of the reign of Henry VII, this is your answer. Penn begins by reminding us how Henry’s reign is overlooked by many historians because of the notoriety of his son Henry VIII and grand-daughter Elizabeth I. 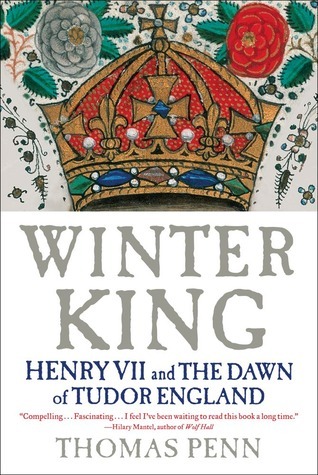 He likens the beginning of Henry VIII’s reign to a metaphorical spring, a second coming of sorts because Henry VIII seemed to be the opposite of his father. This is why he named the book the “Winter King”. Henry VII had a dubious claim to the throne of England based on ancestry alone. He had spent most of his early years in exile on the continent and essentially had no thought or chance of becoming King of England. But when dissent in England reared its head during the reign of Richard III, Henry’s horizon opened up to possibilities. Disenchanted nobles gathered by his side and an invasion was planned, executed and carried forth with worthy results for Henry. This part of the story is genuinely exceptional. After his victory at Bosworth Field, Henry married Edward IV’s daughter Elizabeth of York. 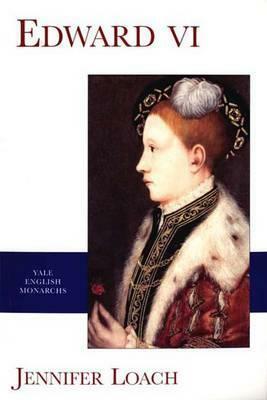 Almost immediately she gave birth to a son, Arthur, and the Tudor dynasty was on its way to establishing its splendid reputation in history. After Henry quelled a few rebellions and crushed the hopes of a few imposters to the throne, the reign became relatively quiet. But in 1501-2, Henry’s heir Prince Arthur and then his wife died. It was a time of crisis for Henry. All his hopes were placed in his second son, Prince Henry. This was when Henry became physically ill with the tuberculosis which would eventually be fatal. His paranoia became even more evident. He was cautious and secretive and began resorting to extra-judicial measures. He found men to carry out his rare and extraordinary methods for collecting money and keeping people under control. Penn is masterful in setting the scene here. He tells us about the men Henry relied on. He talks about secret plots and behind the scenes diplomatic maneuvers. He gives us great insight into the personality of Henry and what his motives were. There are delicious descriptions of visits of ambassadors, Elizabeth of York’s funeral, the entry of Catherine of Aragon into London and her wedding to Arthur Tudor. Really the entire panoply of Henry’s reign is described in great detail. For me, the best chapters are in the last third of the book. After the death of Arthur and Elizabeth, King Henry brings Prince Henry to court to give him every advantage and to make clear the hopes of the dynasty rested on his shoulders. The education of Prince Henry as well as a great awareness of how he spent his leisure time is recounted. Prince Henry was closely guarded by his father and not allowed much leeway in his behavior. But the descriptions of him and his pals and their military training and jousting antics are really fun to read about. I found that reading S.B. Chrimes biography of Henry first laid the foundation for a better understanding of Penn’s book so I would recommend that course of action. But it’s not totally necessary. For me the book seemed to start off a little slow, however it certainly picks up after a few chapters and begins to read more like an enjoyable historical fiction book. Only it’s not fiction! 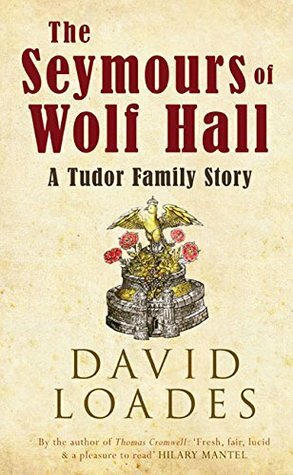 Really I can’t recommend this book enough if you are interested in the Tudor era and this overlooked king. 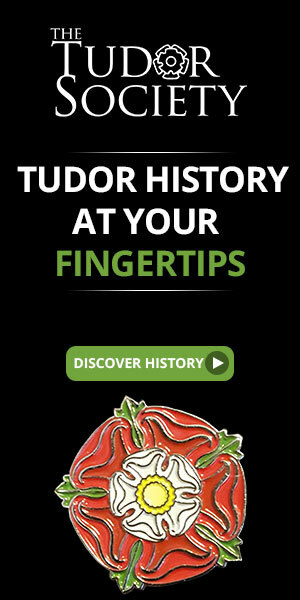 Because of the TV show “The Tudors” which aired recently, there had been an increased interest in this fascinating dynasty of English kings. Consequently, there has been an upsurge in the number of books written on the dynasty itself, as well as the many historical figures from the era. 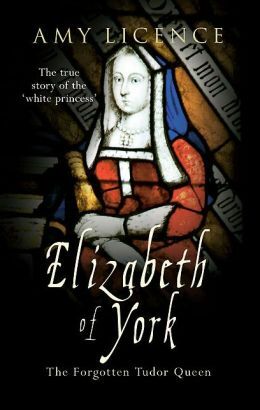 While it has been common knowledge among historians that there is very little detailed information on the life of Elizabeth of York, mother of King Henry VIII, this hasn’t stopped a couple of authors from writing biographies of her. 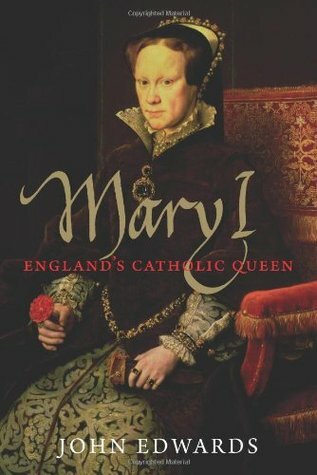 Alison Weir recently released her biography “Elizabeth of York: A Tudor Queen and Her World” and Amy License also penned a work on her life. 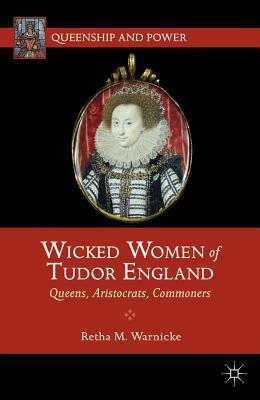 License is prolific and popular writer of books, articles and blog posts about women’s and children’s issues in Tudor and medieval England. She also has appeared on television and radio in England talking about these topics. Elizabeth of York: The Forgotten Tudor Queen unfortunately has very little information about Elizabeth herself. However, License’s style is unique in that she views her subjects from a family and feminist perspective. There is a lot of information and detail about how women lived during this era. There is some good information on Elizabeth’s mother Elizabeth Wydeville. I learned Elizabeth of York enjoyed a very close knit family, seeing her parents often and having very loving relationships with her siblings. License also has good explanations for the politics of the War of the Roses and how Elizabeth’s husband Henry Tudor dealt with the myriad of pretenders to his throne. So while there is not as much detailed information about Elizabeth in License’s book as there is in Weir’s, it is still a worthwhile read because of License’s distinctive feminist point of view and there are also some great pictures in the book. 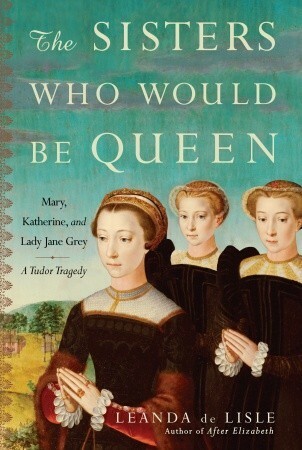 I would recommend this book to anyone interested in Tudor women.